1. Not measuring every windowThe first mistake to avoid is to assume that all your windows are of the same size. This simply means that you have to take measurements of all the windows around your house. Do not order blinds using the measurements of the previous blinds that had been installed on your windows. When you begin measuring your windows, there's a pattern that most window experts use. It is a clockwise pattern which is easy to do. Stand out of your front door and face the inside your house. Start from the room on your immediate left and continue in the same way until you have gone all round the house in a clockwise manner. When installing awnings, the second thing you have to do is state your measurements correctly. Organise all the measurements on a proper worksheet and in an organised way. This makes ordering and all awning installations easier. One mistake to avoid is the order in which you record the width and the height. When stating all your measurements, always start with the widths then followed by the heights. Additionally, your measurements should be written in inches and rounded off to 1/8 inches. To avoid recording the wrong measurements, it is advisable to work with someone else. One party can start to measure and read all the tape measurements to the other party. The second person then records the room tags and measurements on the worksheet being used. Continue recording and making new measurements in this manner until all the windows around the house have been measured. Now trade the roles. The person who was doing the measuring will now do the recording. Then repeat the process rechecking whether all measurement records are right. If there are any differences, correct them. You can use a steel tape measure to ensure that there are no mistakes. 4. Misplacing measurementsWhen doing your measurements on your windows, it is vital to note the right measurement to the right window. To avoid confusion or forgetting, you can make use of simple codes. For example, when measuring the walls in the bedrooms, you can use a simple code like BD1 for the first window BD2 for the second one. Record all windows with their corresponding measurements in this manner until all windows are done. When you have measured all your windows and given all measurements a code, you can use these when placing your order. This ensures that you give the correct information about your window locations to your awnings provider or retailer. 5. Settling on the wrong set of awnings. In your awning installation, it is crucial to have the correct set of blinds. For the large windows, vertical blinds are best. Small windows will work best with horizontal blinds. Because these blinds are to be installed outside the house, they should be able to withstand different weather conditions. Choose awnings that are made out of hard and tough materials like PVC, timber, aluminium and tough fabrics. If you settle on timber, ensure that is treated appropriately to stay protected from harsh weather elements. Some common types of blinds for your house exterior include roller blinds, external screens, shutter blinds, louvre blinds, fixed awnings, retractable awnings and external Venetian blinds. There is absolutely no need of having perfect blinds if you are not able to install them correctly. When installing blinds on French doors, you have to measure each door for preciseness. This is because to ensure that the doors fit, the carpenter might have shaved off some wood off one or more of the doors. 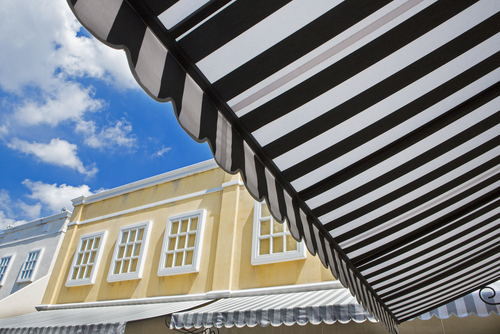 Awnings are suitable for light winds to medium winds and rain. For areas with high winds, you need to roll up the blinds. A good thing is that electric blinds are now available. These can be rolled up during high winds. 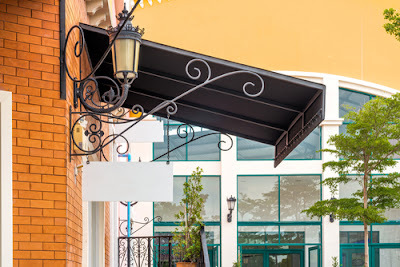 Wrong awning installations can have serious consequences so it is crucial to ensure that you avoid the above six common awning installation mistakes.